I’m starting a #TipTuesday series and this is my first one in the series. Back in 2010, one of my first ever blog posts, I wrote about some tips to handle dates. Today I’ll expand to include a few other gems that I find many users don’t already know! Let’s start with the basics. 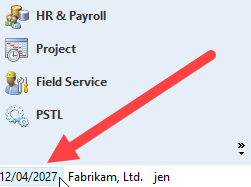 Your “User Date” in Dynamics GP defaults to “today”, the system date unless you’re in the Fabrikam sample company. 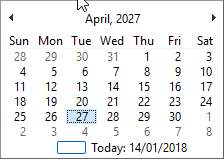 The User Date is the default transaction date in any window you go into in GP. 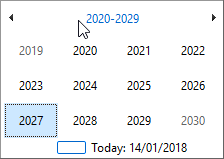 The best way to set a default working date is to change this user date when you first open Dynamics GP. This time of year, it’s very common to be working on December month-end entries and to prevent or reduce the chance of wrong year date errors, I highly recommend changing your User Date to 31/12/2017, for instance. 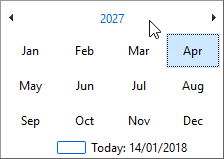 Otherwise, if you mistakenly change month and day in a date field, using one of my tips below, the year will stay as the default User Date year. (Of course, I also recommend that you close Fiscal Periods that are not in use so that will eliminate some date issues). Too often I see users typing the entire date out including slashes! You don’t need to do that. If you’re working in the same MONTH and YEAR, you only need to type in the DAY and the date field will default to the proper date. In my example above, I’m on Fabrikam time, April 12, 2027 (& my system date format is DD/MM/YYYY). If I type in “22”, I will get 22/04/2027. If you’re working in the same YEAR but not the same month, type in the DAY and MONTH and the year will default. If I type in “1503”, I will get 15/03/2027. These examples are based on a DD/MM/YYYY format so if you have MM/DD/YYYY, then the same tip would require you to type in “0315”. In both cases, I don’t have to type in any slashes in the date. Click on the Date box and you get this pop-up, the current month. Click on the ‘Month, Year” area and you get the current year, by month, to quickly jump back several months in only 2 clicks! Click on the Year and you’ll jump back to the current decade. And it gets even better, although at this point you’re likely not entering transactions back this far! 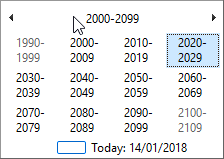 Click on the decade and you get the current century. To use any of these drill backs, you are able to more quickly select another decade, year or month, as an alternative to clicking back or forward on the scroll arrows on the top of the window multiple times!